When Does Uncharted 4 Come Out? That is a question a lot of people have been asking especially since it was delayed last year. Now you might be asking yourself why I’m talking about Uncharted 4 when this site primarily focuses on open world games. For me the answer is an easy one. If you’re a PlayStation fan and even if you’re not, but love games in general and do not hold to one particular console, The Uncharted Series has been among the best games ever made and gives Tomb Raider a run for its money. I know the series is not open world, but it is good to branch out a little bit and enjoy some of the other genres of games that are out there because some of them are just great! I have all 3 games from the Uncharted series on the PS3 and every single one of them have been a blast to play. The graphics have been some of the best ever to grace video games and the story, characters, gameplay, and the different settings they have been placed in are simply amazing. The main character Drake is your sort of modern day Indiana Jones as has mentioned by countless others and the dialogue between the characters must be seen and heard. The Uncharted series has been developed by Sony developer Naughty Dogs and they have done an exemplary job with the series. There has been some changes with the developer within the last two years as some of their veterans departed, but some newcomers from another fantastic developer have jumped on board and looks to have made possibly the final game in series, the best in the history of Uncharted. I’ve seen screenshots of Uncharted 4 and some videos of its gameplay and I am in total awe. The graphics are probably some of the best ever released in a game so far with the current consoles. Just take a look at the screenshot below that came from the website Business Insider. Ok, now that you know why I am so excited for this game and a little bit about the history of the series and developer, the question comes back to when does Uncharted 4 come out. The game is slated to be released on April 26th of this year according to GameStop. I’ve already pre-ordered it and you better believe I will talk about and post a review of this game on here. 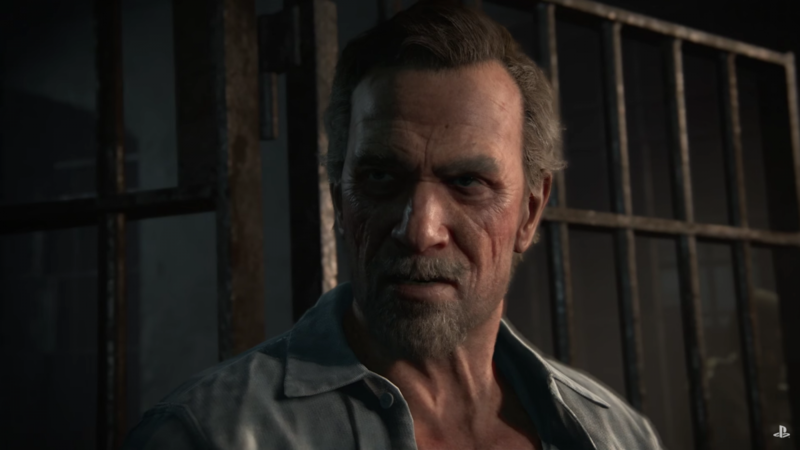 Still not convinced about giving Uncharted 4 a try? Check out what this Xbox Executive from Microsoft said about it. Well there you have it folks! Now you know the release date of this game and why I am very excited about it. The game developer has stated that this will most likely be Nathan Drake’s (the game’s central character) last romp in the Uncharted series so you know Uncharted 4 is going to be extra special for that reason alone. I would pre-order it now as this game will sell like hotcakes and as the series has already sold millions of copies on the PS3. Great article about the PS4 game Uncharted 4. I love playing games and the way you described this game I really want to have look at it and try it out. Do you have any other games you would recommend. I was also wondering what is your opinion regarding PS4 and Xbox One regarding playing games. Hi there, glad you liked my article about Uncharted 4! Some other games I recommend are The Last of Us and of course some of the open world games such as Grand Theft Auto 5 and The Crew. There’s so many more, but start with those. I’m partial to the PS4 just because I’ve been so used to playing the PS3 before it, but the Xbox One really does have some good games to play too and you can’t really go wrong with either one. Believe it or not I do have both game systems but I do play the PS4 the most. Never tried the uncharted series, always thought about it though. I noticed Drake looks a little old, is this game set like 10 or something years after the last game? What’s your favorite uncharted game so far? What kind of theme do most unchrated games bring? Is it like treasure hunting? WHAT are the villains like? Hi there Jacob. You would be correct in noticing that Drake seems to look a bit older. It definitely does take place sometime after the 3rd game and he is finally married in the 4th one. As far as my favorite one so far, it is a toss up between Uncharted 3 and 4. Graphically, Uncharted 4 is superb and I actually find the 4th Uncharted a little more grounded in reality then some of the past ones. That’s not to say the past Uncharted aren’t great games. There is treasure hunting in the game, but the overall theme is the story of the games and what the main character is actually searching for before the bad guys get it. The villains tend to be charismatic and always seem to have an unlimited supply have henchmen. You should give the series a try if you haven’t already.